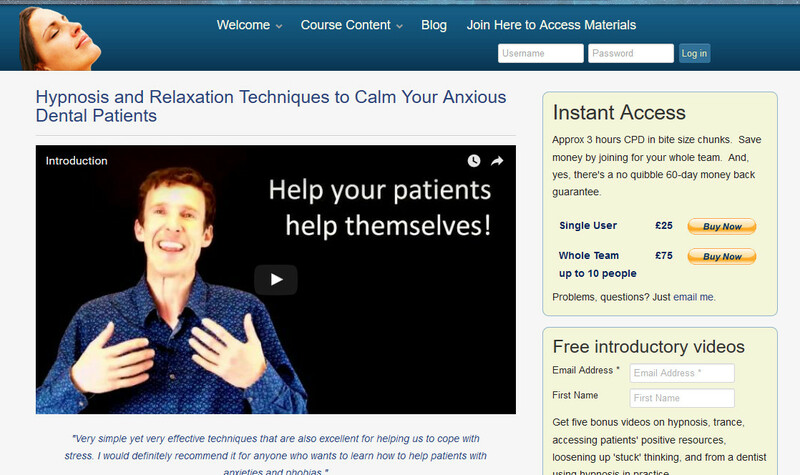 I made this online learning package of videos, written materials and execises to help dentists and DCPs to learn the principles of hypnosis, relaxation, and visualisation techniques to calm anxious dental patients. The materials and structure are based on my popular live program How to Use Hypnosis for Calmer Patients and Calmer You. To ask me about organising something in person in your practice, contact me at hello@andrewcain.co.uk.